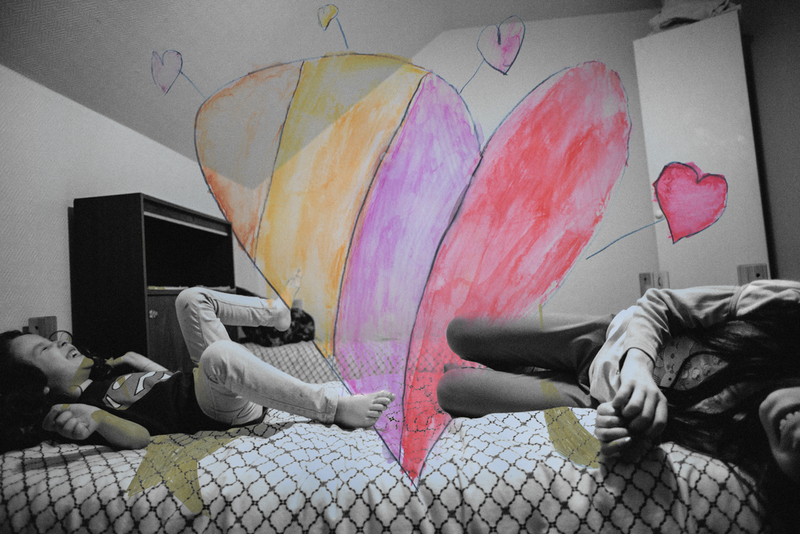 Imagination and Heart, by Laya Al-Khazam. Image of Laya and her little sister Lara. Laya says this picture is drawn from her imagination. It shows some of her and her little sister Lara's favorite things—a heart, the stars, the moon, her and Lara's favorite colors. The brown is the color of the mountains in Syria.